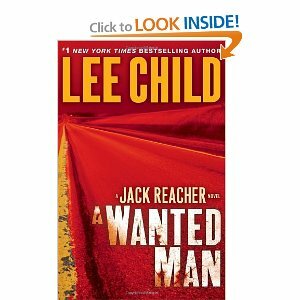 I started the latest Jack Reacher novel, A Wanted Man, in a Berkeley theater at 1:30 p.m. February 6 while waiting for the movie Parker to begin. I finished it at 1:30 a.m. on February 7 -- even though the book is 405 pages long and I took an hour and 54 minute time-out to watch the movie. A Wanted Man had its enjoyable moments. But they were so few and far apart, they seemed like rest stops along the unnamed Interstate through Nebraska and Iowa on which much of the novel’s action occurs. And, like the open prairie that stretches through those two states, Child’s novel is a barren wasteland that piles coincidence on coincidence, overuses catch phrases ("Good to Go," "Not so much"), and overdoes the Popular Science and Gray's Anatomy techniques for padding a book with unnecessary technical detail. For a suspense novel, “A Wanted Man” is almost completely devoid of thrills. A couple of surprises, yes; but thrills? To borrow one of Child’s current pet phrases: not so much. Surprise number one: two people die suddenly and unexpectedly, one of them as the result of natural causes, and, if you are like me, you probably won’t see those deaths coming. Surprise number two, it turns out that the government has a hideaway in the middle of the prairie where it is stashing people who have stumbled on sensitive information about national security that puts them at risk; that, too, was somewhat unexpected. And surprise number three, although the FBI agents in this novel are mostly bureaucratic assholes who behave in a squirrelly fashion, none of them are actually working for the bad guys; that definitely was a surprise, since there has been at least one turncoat fed or local cop in every Reacher novel I have read so far. But the basic story line doesn’t have a single legitimate thrill in it. There is never a point in the novel where Reacher seems to be at risk of death or even serious injury. It is always clear that, by the end of the novel, Reacher will have figured out and disrupted the intricate plot that is driving the story, not to mention eradicated the villains responsible for it. And – with one exception in this particular novel – it is equally clear that the innocent will be rescued from mayhem by Child’s hulking ex-Military Police major. The novel starts with Reacher, who is hitchhiking, being picked up by two men and a woman on the Nebraska Interstate. It takes him a full 85 pages to discover that the woman is an unwilling passenger and that the two men hijacked her car after committing some sort of crime that got them covered with blood. Thirteen pages later he finds out that the two men are carrying guns. It takes another 24 pages before one of those guns is pulled and aimed at Reacher. In other words, we are more than a quarter of the way through the book before Reacher is confronted by what appears to be a truly dangerous situation. The. Book. Moves. Just. That. Slowly. Yes, somebody does get murdered in the first 400 words of the book. It wouldn’t be a Jack Reacher novel if there wasn’t at least one body littering the landscape at the onset. But the killing takes place off camera, so to speak, and we learn about it second hand. 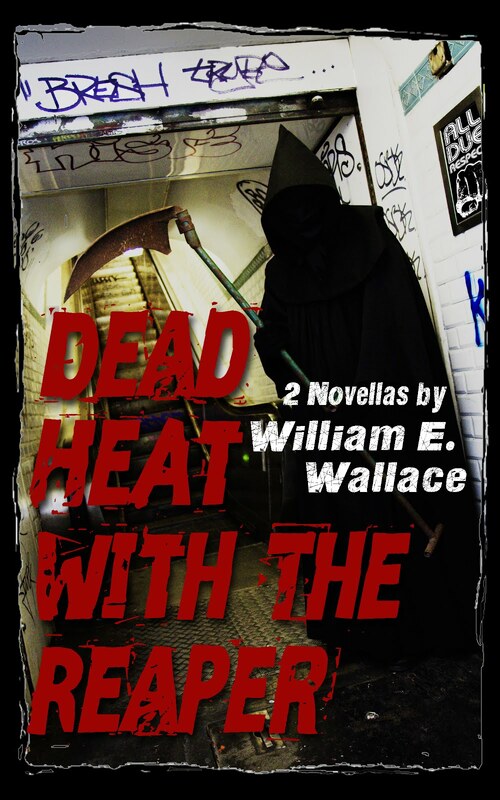 The second grisly death doesn’t occur for another 160-odd pages. And the real bloodletting is postponed until the last tenth of the book, though Child makes up for the wait by having Reacher kill more than 20 people in that one 54-page segment. And Child seems to lose track of unexplained mysteries along the way -- for example, we never get an adequate explanation of why the first victim is killed. What’s more, we are teased with the existence of a ringleader for the terrorist organization that is the central focus of the book but never find out for sure who he is or what happens to him. And what is up with this recurrent plot mechanism of Reacher getting kidnapped alongside female FBI agents? Child needs to start looking for another basic way to set up his potboilers. . .
After reading the first two Reacher novels, Killing Floor and Die Trying, I couldn’t understand why the series was so popular, but I was willing to stick with Reacher a bit longer, just to see if Child was able to sand off the rough spots that bothered me in the early novels. A Wanted Man is the seventeenth and most recent installment in the series, however, and while some of his clunkier and more perfunctory writing has been excised, Child still is taking 400 pages to tell a story that could be more effective, exciting and satisfying if it was slashed by a third. And while he has eliminated some of the annoying prose tics of the earlier novels, he seems to have replaced them with others that I find even more annoying. In this novel, for example, he comes up with a seventeen word passage toward the end of the book that he apparently liked so much that he repeats it two more times in different spots afterward (and believe me, it wasn’t all that amusing in the first place). Plus he has characters used the catch phrase “good to go” so frequently that they seem to be recovering from an extended bout with constipation. I think I have been more than generous to Lee Child and Jack Reacher, giving them repeated opportunities to win me over and make me a fan. But now that my youth is well behind me, I don’t want to spend another minute of however much time I have left on the Reacher series. Child’s next book may be a barn burner, but if it is, I won’t find out unless someone tells me. When it comes to Jack Reacher, I’ve reached the end of the road. I Hate it When a Plan Doesn't Come Together . .